The new plot layout will open for booking soon! 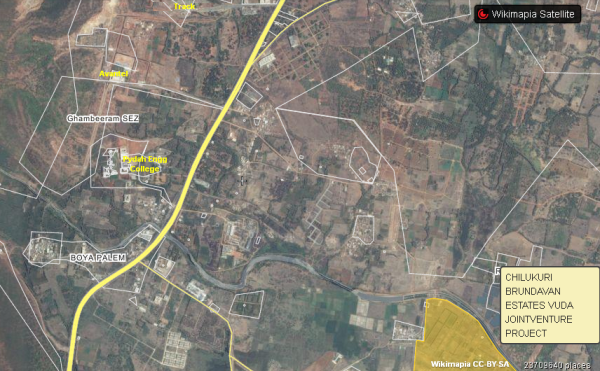 The Plot Layout Project, aerially, is just 3Km from the hot Gambheeram IT SEZ location, near Vizag. 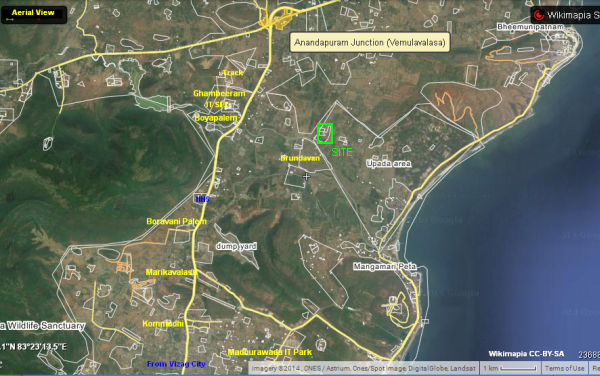 Location is between NH5 and Beach Road, North of Madhurawada. 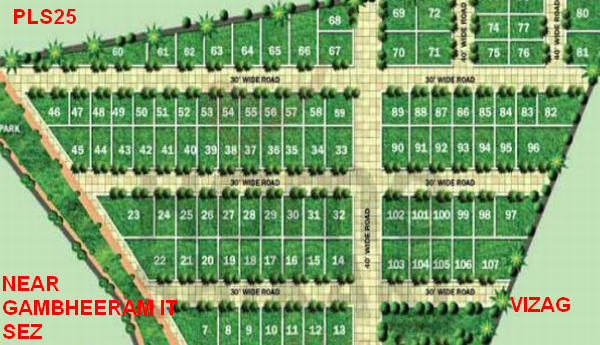 The project will have 220 sqd Plots. Will be VUDA Approved with 50% Bank Loan. With Naidu managing to bag US Govt support in developing Vizag as a Smart City, there is renewed interest in Gambheeram since it's located right beside NH5, near Boya Palem. Being close to NH5, Gambheeram has excellent connectivity. Project will be developed by experienced developer from Hyderabad who has built plot layouts, as well as gated villa communities. Exclusive Ventures - Members' Offer: We have special offer for MEMBERS. Submit enquiry to be alerted Contact Now to get Alerted about the Opening of Prelaunch Booking!